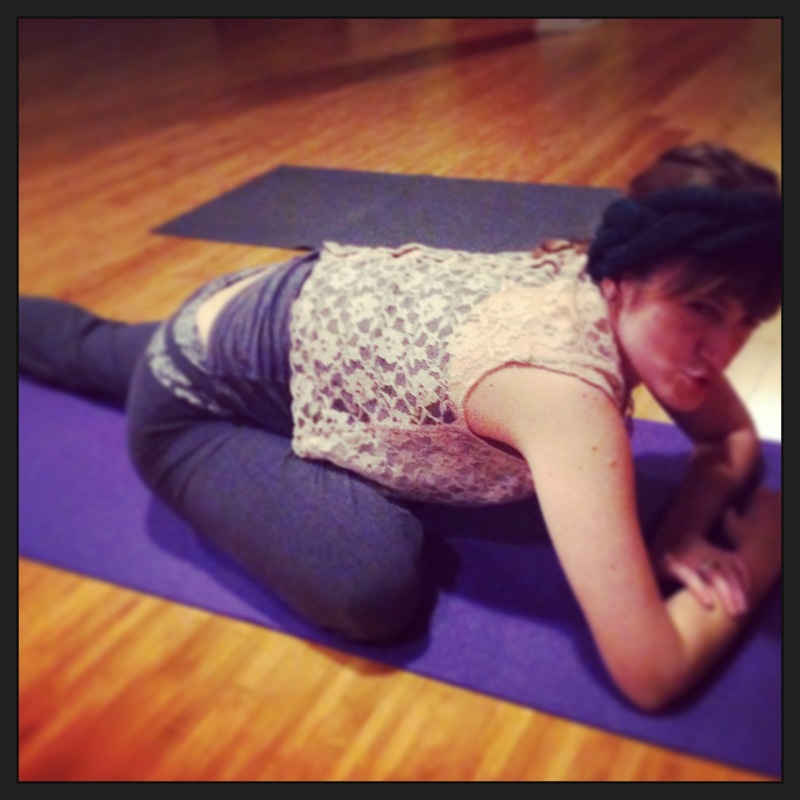 It’s been a fast, furious and well-documented yoga weekend (and it’s only Saturday morning!). Thursday night my roommate from college and good friend, Betsy, visited Chicago and took Kristen’s class with me at Tula. Afterwards, we got dinner at The Chicago Diner. Their vegan taco salad is out of this world. 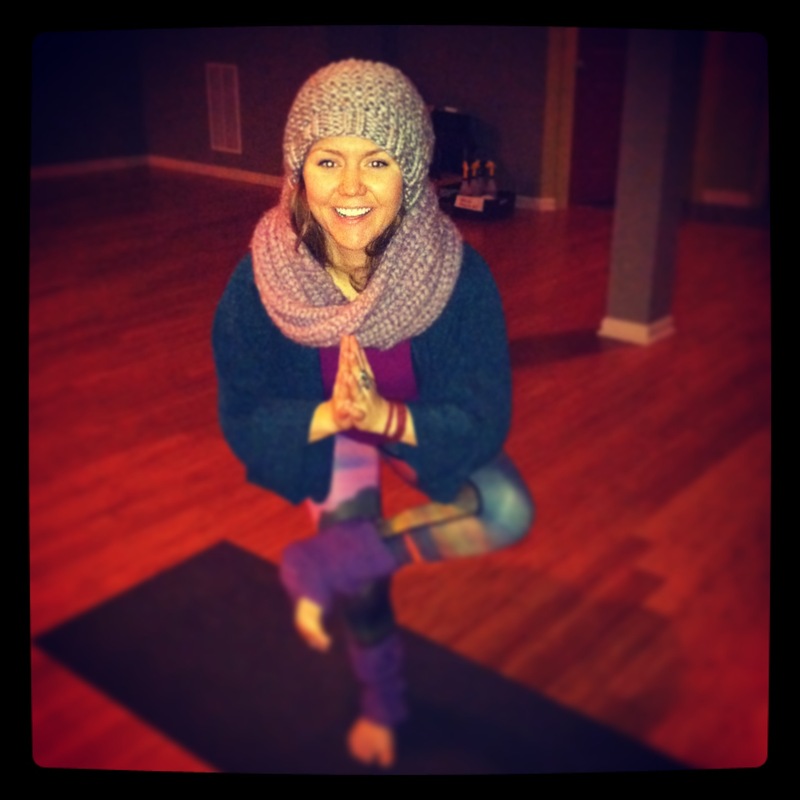 Later that night, I had a knit yoga date with Miss. Julia. Julia made me a beautiful headband (that she is modeling in pigeon pose) and I finished my scrunchy hat! 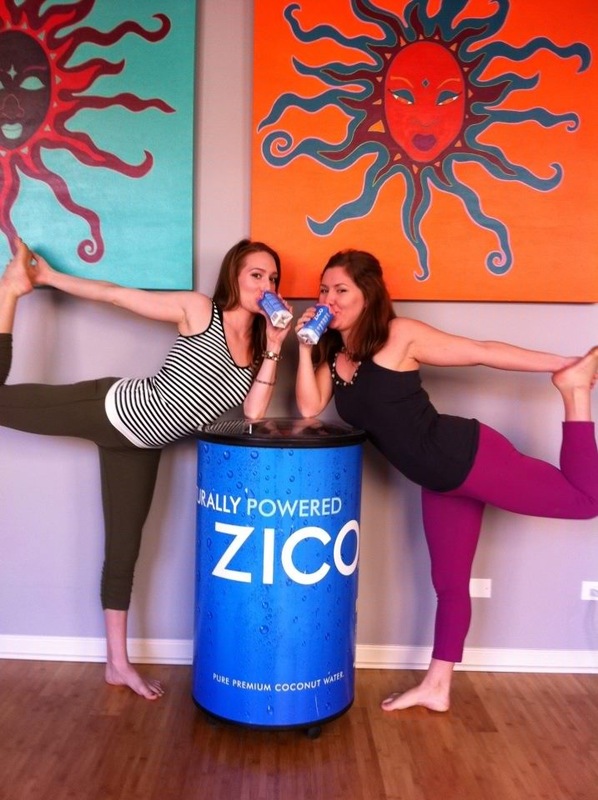 On Friday, Kristen and I had a second round-photo shoot with The Urbaness and sipped on some Zicos (the only way to drink a Zico is in dancer pose). 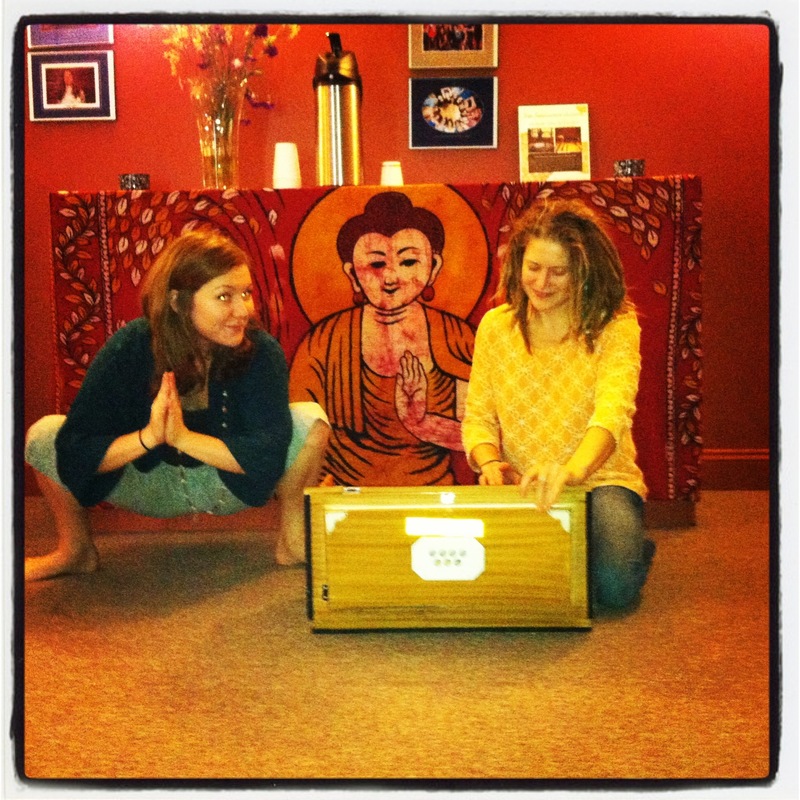 Friday night, before my Candlelight Class I enjoyed Kristy’s sweet harmonium playing at Chicago School of Yoga.